Shiraz from the St. Jakobi Vineyard 5-acre “1975 Block” matures in barrels for up to 22 months and during this time we regularly taste each barrel and make note of the best structured and most mouth filling parcels. Towards the end of 2016 the selected barrels were chosen for the “Oscar”, our reserve label for Dutschke representing “the best of the vintage” from the St. Jakobi Vineyard. In 2015 the 75 Block Shiraz was harvested on two separate occasions, picking the western 20 rows on the 9th of February and going back into the vineyard on the 11th of February to complete harvesting the 12 rows to the east. The two separate parcels were fermented individually for 10-14 days in stainless steel fermenters under our shed verandah, before being drained, basket pressed and then transferred to oak hogsheads to complete the secondary fermentation. Post fermentation the wines were racked and then returned to these same French oak barrels to mature for a further 19 months. 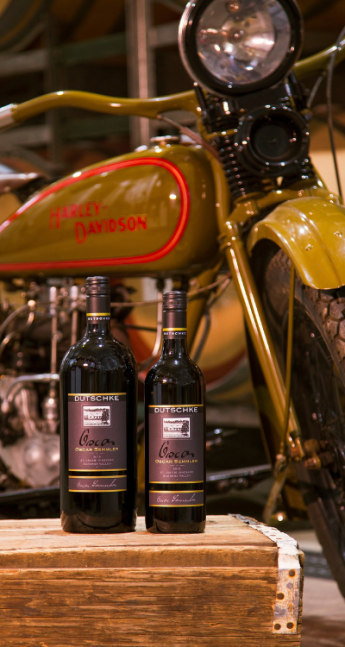 The 2015 Oscar Semmler Shiraz is a full bodied, ripe and generously fruit filled wine, showing mid palate sweet fruit flavours characteristic of dark cherry and black berries. The spicy French oak characters and fine grain grape tannins complement the round fruit focused palate concentration. The finish is long, with firm tannins and clean acidity. It’s a wine that will further soften and develop with careful cellaring. We trust you’ll enjoy it! Shiraz vines planted in ’75. 100% French oak, 80% new. Dense but not overwhelming, in that freshness seems to have been a priority. Cedar-like oak is abundant but it’s hand-in-glove with the fruit, at no point even threatening to overwhelm. This qualifies as an elegant red; it doesn’t have the pound-for-pound impact of the ’16 GHR, for instance, but it makes up for it in finesse. It’s captivating by its own design. 2015 was a record early vintage in the Barossa (and the fastest to finish!) and Wayne Dutschke made the gamble to be the first to pick. He nailed it, and the evidence is the bright lift, fruit definition and acid drive that define one of his greatest St Jakobis yet. Black fruit depth lingers very long amidst firm, finely crafted tannin structure that promises great longevity.